Andrew nearly choked on his chicken noodle soup. "The research notes are due tonight?" He had been sick with a cold, out of the loop from the rest of the lab for a few days. "That’s right," Dr. Steinbrenner, his lab mentor, said. "Look, do you want the explanation about the funding committee, the committee that formed the funding committee, the president flying to see his sick daughter--"
"No," Andrew coughed, "I don’t prefer that." "We need three data bundles sequenced by midnight so the notes can be sent to the committee. Can you get it done from home? You can have the rest of the week off if you can." Andrew felt a chill and pulled his blanket around his shoulders. He had installed the university’s DNA sequencing software on his desktop computer just in case he couldn’t get to the lab. It was just after nine in the morning. "Midnight? I can have it done by five this afternoon." It wasn’t done by five. Andrew coughed into his hot tea as he flicked the monitor. Did the sequencer just crash again? He sighed, coughed again, and restarted the VM. The DNA sequencer was written in Java, and it had always run as solid as bedrock, so why would it crash on this last bundle of data? The first two bundles ran as expected, but the program kept choking on the last one. The phone rang. Andrew answered. "You know how important this is to the department, right?" Dr. Steinbrenner said, panic creeping in his voice. "It’s almost done." 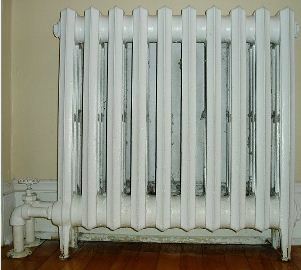 Andrew started shivering; he reached for the radiator and turned up the heat a few more degrees. "If you keep calling it won’t get done." It was 11:40. Andrew was almost out of the time. He shivered despite the heat. He had validated the data bundle every way he could: re-calculating the checksum by hand, unarchiving it with any command-line utility he could find. Unless the DNA strands in that bundle were absurdly long, it should have been done hours ago. Not now, Steinbrenner! Andrew walked to window and opened it, about to throw his phone out to the street below. The cold, winter air hit him like an avalanche. Shivering, he looked back at the desktop computer, sitting nice and toasty next to the radiator when a thought occurred to him. I wonder if it's overhe-...oh man. He ran the CPU monitor utility. The temperature read 230° Fahrenheit and rising. Andrew turned off the radiator, picked up the desktop box, and balanced it on the windowsill. He watched as the CPU temperature dropped, crossed his fingers, and ran the sequencer on the last bundle. "I just got it," Steinbrenner said. "You really cut it close. What took you so long?" "Just some overheating issues," Andrew said. "God, you sound horrible. I promise not to bother you again until you’re better." "Thanks." Andrew hung up the phone. I should get a fan for that before it falls out the window. He went to move the computer from the windowsill back to the desk when the phone rang again.